Welcome to Kamuro-an Kamuro-an is a charming, traditional but unique Japanese inn-style hotel. 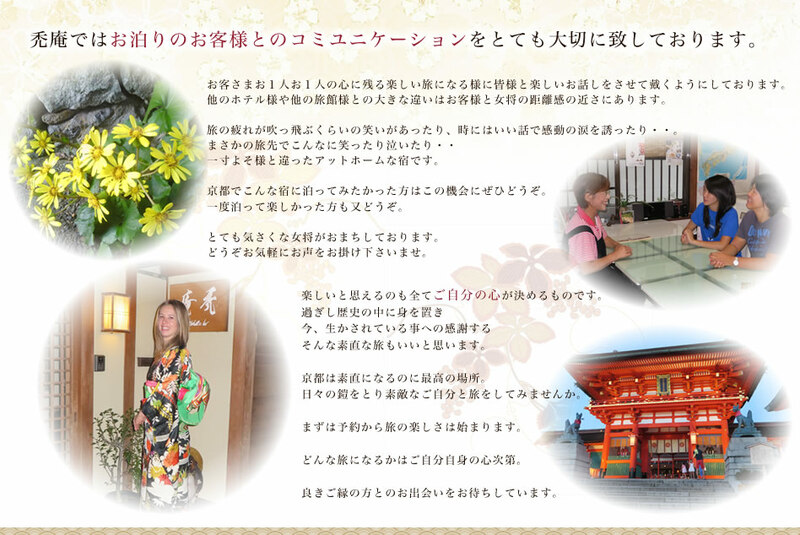 You can enjoy your stay and feel comfortable as if you are staying at a Japanese friend’s home! 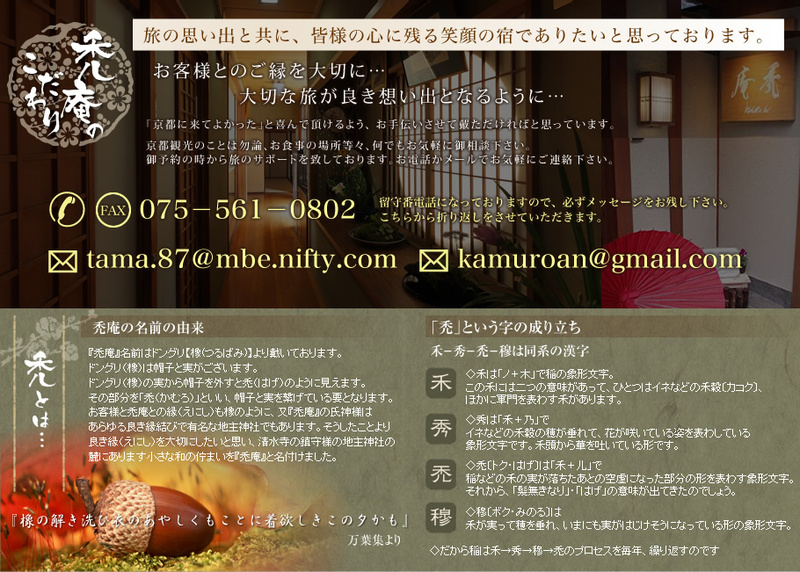 Relax and enjoy our highest standards of Japanese hospitality. We are close to one of Kyoto’s most popular spot, the Kiyomizu Temple. Copyright (c) 2010 KAMURO-AN. All Rights Reserved.